The Districts Sign to Fat Possum! Congrats to The Districts for signing to Fat Possum! We've heard for a bit now about labels who have come a knockin'. It's been very cool to see the Philly music scene help foster such young talent. Props to our collaborative cohorts HotBox Studios for putting together the excellent video of the band performing "Funeral Beds" that we are sure turned many folks out there on and to Toy Soldiers' Ron Gallo for sharing one of his discoveries from the road. 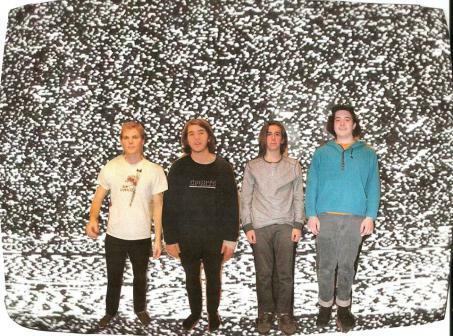 The Districts will be heading on tour early next year with White Denim. [We also heard through the grapevine that the band could be heading into the studio with Bill Moriarty (Dr. Dog, Man Man, The Lawsuits, etc.) for their next release.] Stay tuned for more from the impressive teenage crew. Things are just getting started. Cheers, fellas! 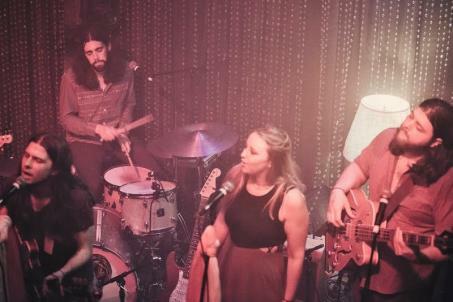 This past Friday evening, some of Philly’s finest flocked to Johnny Brenda’s in celebration of The Lawsuits’ latest album, the Bill Moriarty-produced Cool Cool Cool. There was a steady flow of spectators coming in throughout the evening, which eventually sold out. 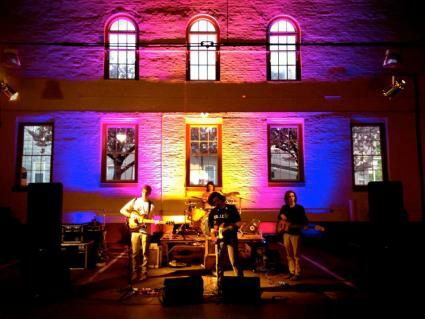 The impressive folk-rock combination of The Districts kick started the festivities. Ripping through a head-turning set that included standout songs such as “Long Distance,” “Silver Couplings” and “Telephone,” the group displayed a raw instrumental tenacity pairing Rob Grote’s emotive guttural vocals with appropriate foot-stomping jams that gather momentum particularly in a live setting, which was also apparent from their performance the following night opening for White Denim on the same stage. BTW: I heard that White Denim was so impressed by the young outfit that the Austin group invited The Districts to join them for a tour. Though it was a hard act to follow, The Fleeting Ends fed off that momentum and shifted the tone of the evening towards a smooth, casual pop-rock direction. Focusing on songs from their latest album Our Eyes Are Peeled, the trio showcased catchy, energetic tunes such as “Poor Gloria” and “Sing Groupie,” which helped to rouse their fans. Closing with the quick attacking “Speak in Morse Code,” it was clear that The Fleeting Ends had gotten their message across. The moment had arrived that the capacity crowd had been waiting for; the lights dimmed, and The Lawsuits hit the stage. Displaying their latest product for the faithful to hear. The room, at once, seemed to truly become a collective, embracing each song like a friend. There was comfort in the simple home-cooking bass groove on “Onion” with its yearning lead vocals and layered harmonies, while the peaceful “Dreaming #26,” turned up-tempo with its instantly infectious backing vocals. Brian Dale Allen Strouse delivered the sermon on the revival-esque “The Working’s of You,” the combination of keys, bass, and percussion set the vibe, gathering steam before leading into torching guitars. “25w A19, 120v Blues” proved to be robust, hard-charging, boogie blues. Vanessa Winters brought the crowd to a fever pitch when sharing lead vocal duties on “Long Drive Home,” and her sultry, soulful voice on “You Won’t Love Me, If You Don’t,” the album’s closer, captured the audience for its entire duration. But, the show wasn’t over. After a quick break, the band came out for a highly encouraged encore that included feel-good favorite “Love Is Weight” amid a series of older material. Out Of Town Films presented a “pop-up” show with high schoolers The Districts a few weeks back at Girard Hall. Check out an impassioned performance of “Lyla,” the set’s opener and the opening track to the band’s LP Telephone, below!